The Supreme Council, Order of DeMolay of the Republic of the Philippines is an appendant body of the Most Worshipful Grand Lodge of Masons in the Jurisdiction of the Philippines. The Supreme Council, Order of DeMolay is the sole and sovereign body that governs all affairs and activities of the Order of DeMolay in the Philippines and has jurisdiction over all DeMolay Chapters and Members in the country. In 1975, during the 55th Annual Session of the International Supreme Council (ISC), Bro. Macario R. Ramos, Sr. had initiated some discussions with Bro. George A. Newbury, Chairman, ISC International Relations Committee. In 1981, during the 61st ISC Annual Session held on April 5-6, 1981 at Cherry Hall, New Jersey, USA, the International Relations Committee submitted a resolution, quoted: “Be it resolved… recommend to the Grand Master of ISC that he authorize the Executive Officers of the Order of DeMolay of the Republic of the Philippines to take preliminary steps, in accord with the laws of the Philippines, to create a Provisional Supreme Council of the Order of the DeMolay to govern the affairs of the Order of DeMolay in that country.” Recommend further when appropriate steps have been taken that such proposed Provisional Supreme Council conforms to the landmarks of the Order of DeMolay, that the Grand Master shall take the appropriate steps to initiate the establishment of such Supreme Council.” The ISC unanimously adopted the report. In 1982, during the 62nd Annual Session, ISC held on March 24, 1982 at Reno, Nevada, the International Relations Committee recommended, quoting: “the Provisional Supreme Council of the Philippines be empowered to elect its own set of officers and proceed with the organization of the Supreme Council as a step towards its eventual independence”. The ISC unanimously adopted the report. In 1982, during the 62nd Annual Session, ISC held on March 24, 1982 at Reno, Nevada, the International Relations Committee recommended, quoting: “the Provisional Supreme Council of the Philippines be empowered to elect its own set of officers and proceed with the organization of the Supreme Council as a step towards its eventual independence”. The ISC unanimously adopted the report.of the proposed Statutes. In 1983, during the General Meeting of the Charter Members of the Provisional Supreme Council of the Philippines, which was held on March 5, 1983, the body elected its officers and adopted of the proposed Statutes. On May 4, 1983, the International Supreme Council ordained and constituted the provisional Supreme Council of the Philippines. During the Grand Master’s Banquet of the International Supreme Council, Order of DeMolay held on that same evening, Grand Master Elect, Brother Macario R. Ramos, Sr., was duly installed as Grand Master of the Provisional Supreme Council, Order of DeMolay of the Republic of the Philippines. Grand Master Ramos was authorized to install the remainder of the provisional Grand Line Officers and to complete ordination and constitution of the Supreme Council, Order of DeMolay of the Republic of the Philippines. 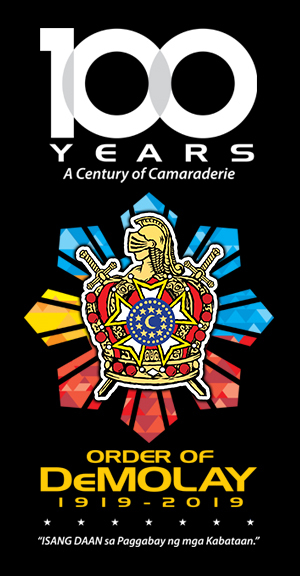 On March 13, 1985, the formal presentation of the Charter of the Supreme Council, Order of DeMolay as an Autonomous, Sovereign and Independent Supreme Council with full power and authority in all matters pertaining to the government of the Order of DeMolay in the Republic of the Philippines was held at the Midtown Ramada Hotel in Manila.